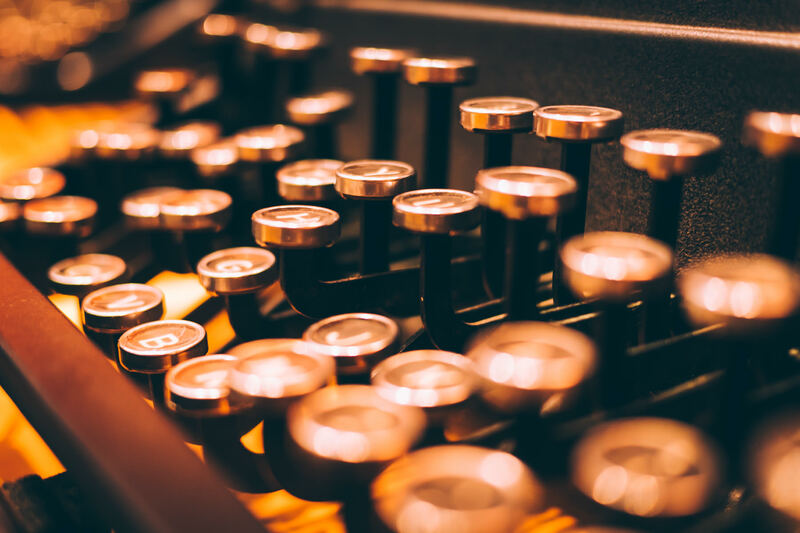 Keys on an antique typewriter at the Mayborn Museum on the campus of Baylor University in Waco, Texas. 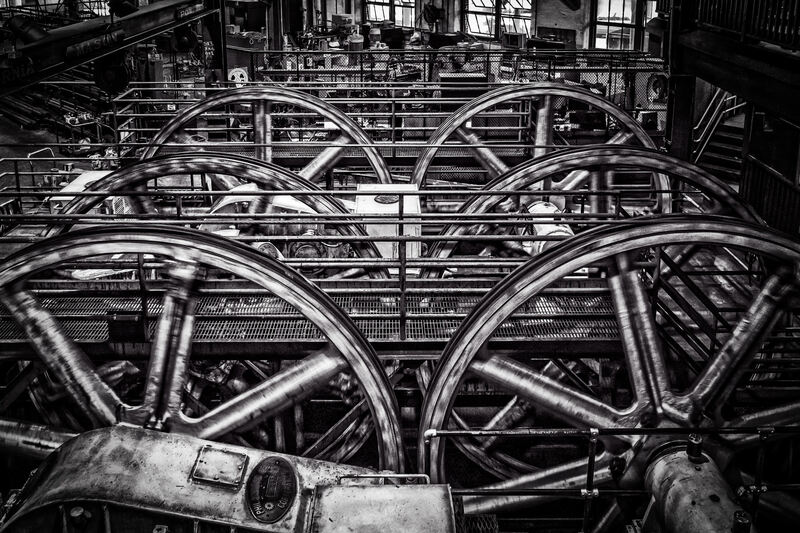 Six 14-ft. diameter wheels (or sheaves) that pull the cable haulage for San Francisco’s three cable car lines spin non-stop at the cable car powerhouse and museum in the historic Nob Hill neighborhood. 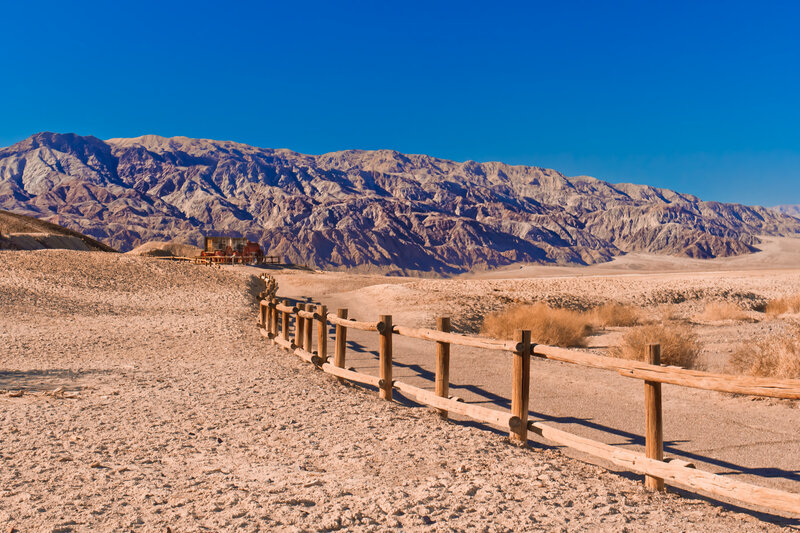 A fence leads to an abandoned borax works, Death Valley, California. 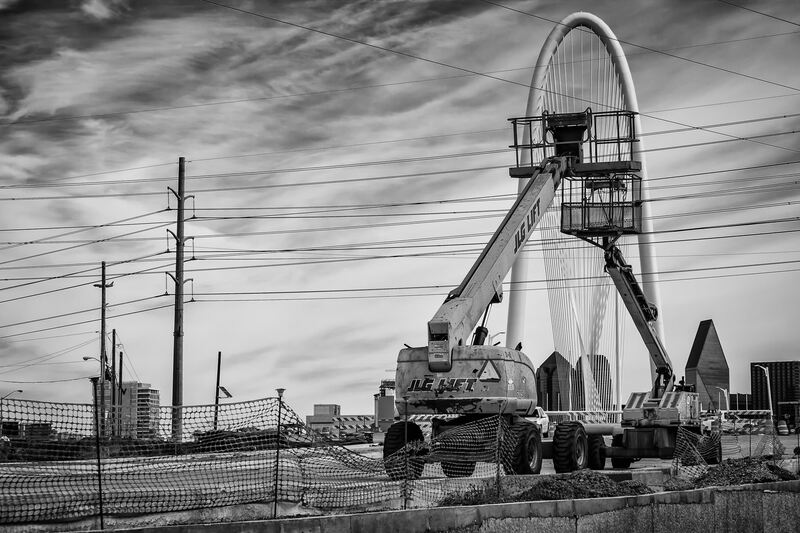 Man lifts and the Margaret Hunt Hill Bridge, Dallas. 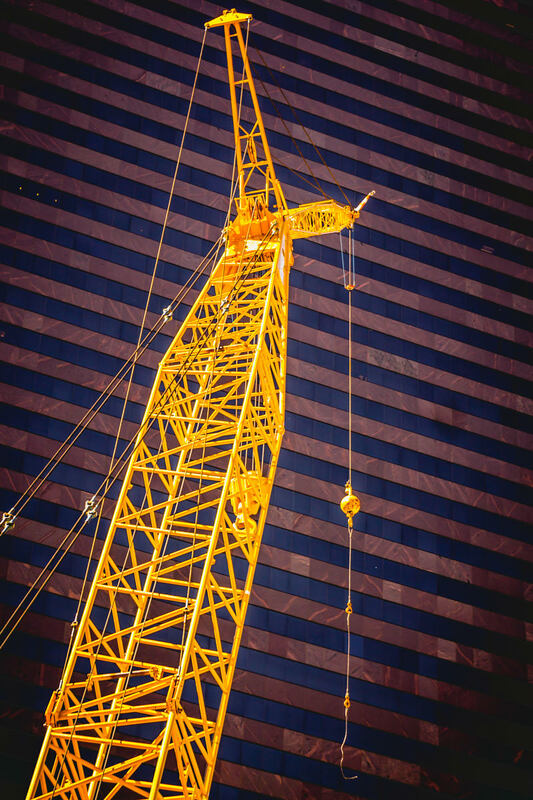 Detail of a crane at a construction site in Downtown Dallas. 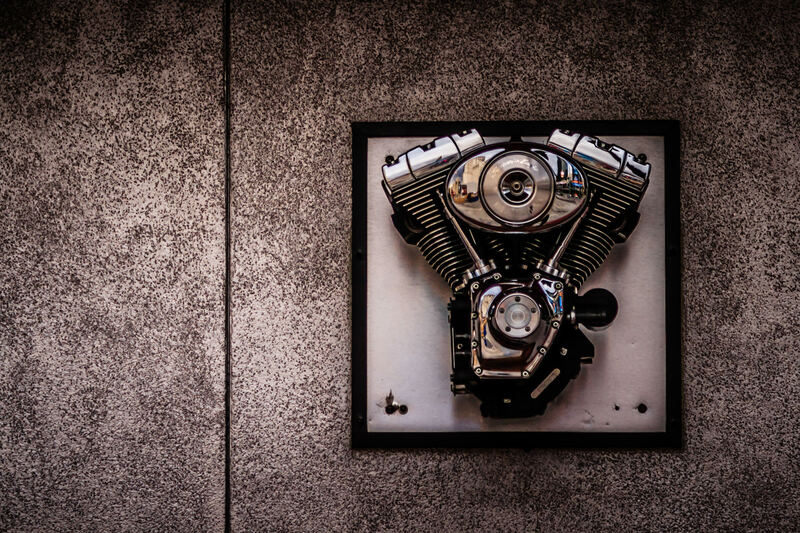 A V-Twin motorcycle engine mounted on a wall outside of the Harley-Davidson Cafe in Las Vegas. 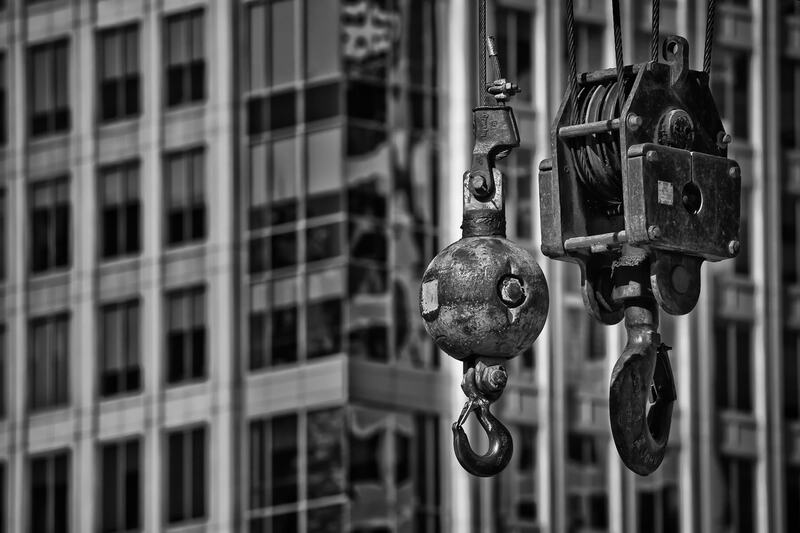 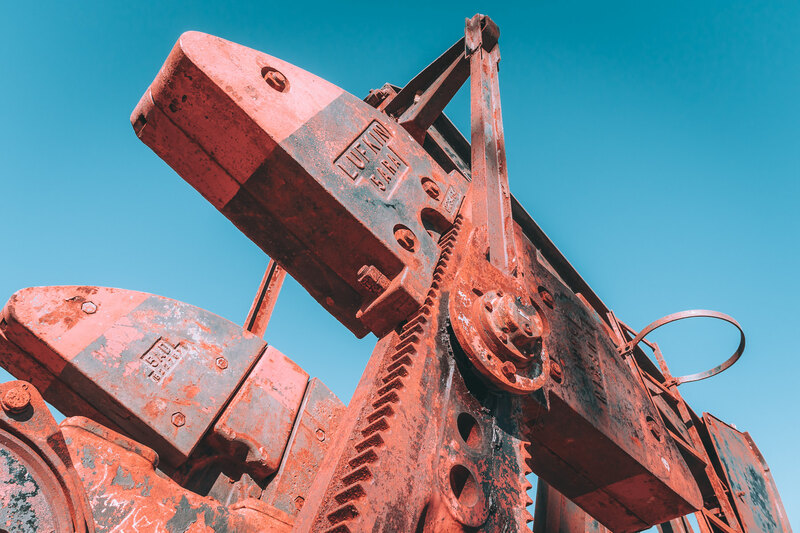 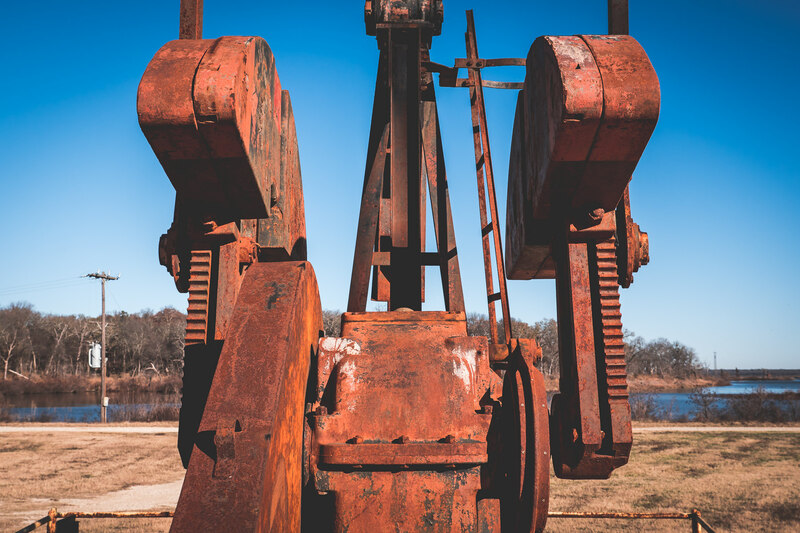 Detail of a crane’s pulleys in at a construction site in Dallas’ Arts District. 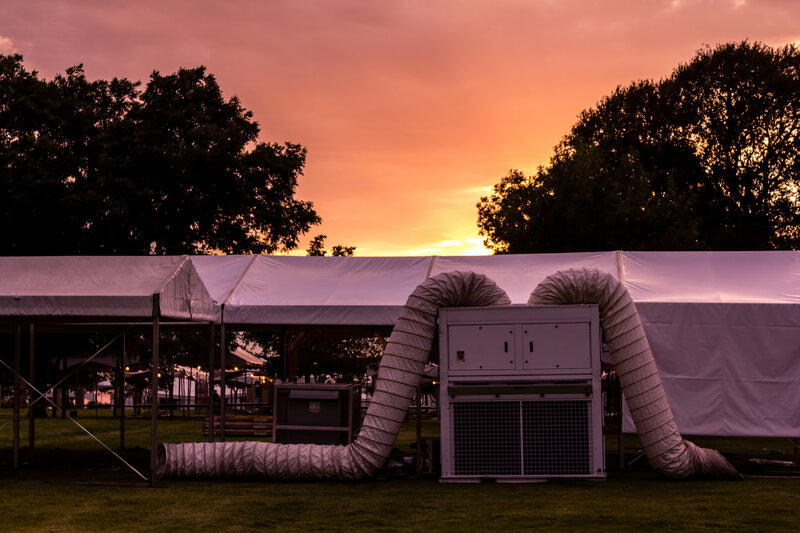 A portable air-conditioning unit being setup to cool Oktoberfest tents at Addison Circle Park, Addison, Texas.